Keynote Speaker Stephen B. Bright congratulates graduate Kate Worthington. 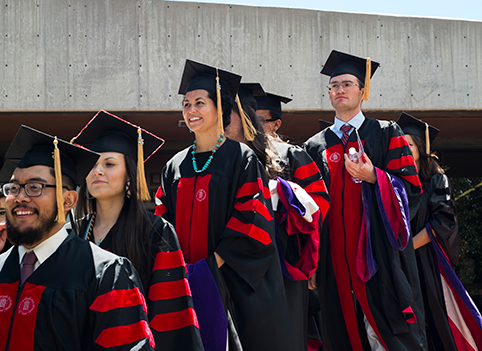 More than 1200 family and friends gathered on the North Patio at the UNM Law School to honor the Class of 2015 on Saturday, May 9 at 1pm. A reception was held in the Forum after the ceremony for the 85 graduates. Stephen B. Bright, president and senior counsel of the Southern Center for Human Rights was the keynote speaker. He has been affiliated with the organization since 1982 and has taught at Yale Law School since 1993. Graduates Katrina Sanchez (l), Joshua Rubin and Shavon Ayala enjoyed the reception in the Forum. Bright’s teaching and writing include capital punishment, legal representation for poor people accused of crimes, conditions and practices in prisons and jails, racial discrimination in the criminal justice system, judicial independence, and sentencing. He has twice argued and won cases before the United States Supreme Court that involved racial discrimination in the composition of the juries. 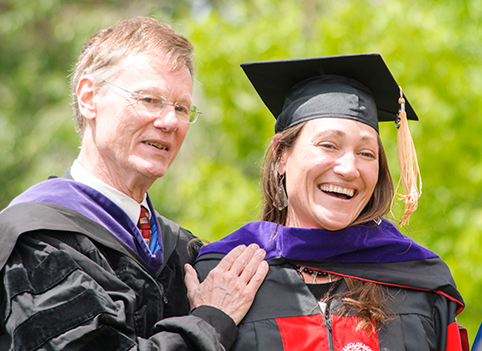 The day before commencement, graduates received a variety of honors and awards for their achievements during law school. 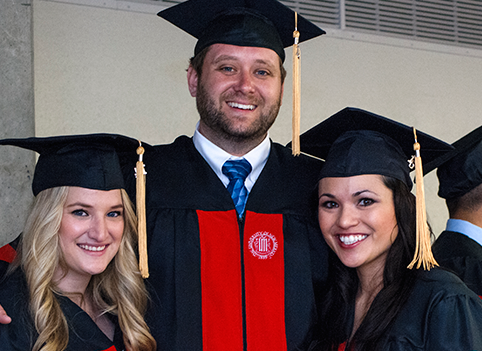 These events celebrate the end of their formal education in law school and their entry as the newest members of the UNM Law Alumni Association. 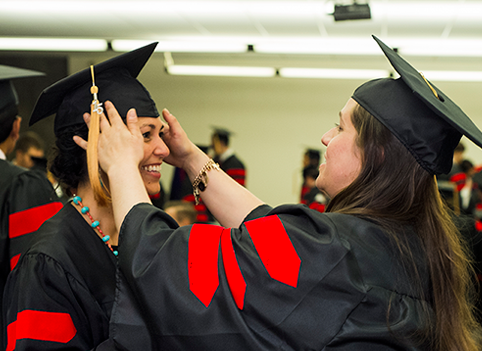 Graduates donned their caps and gowns and made final adjustments before the ceremony. Happy grads make their entrance to the seating area for the graduation ceremony. Professor Alex Ritchie hoods graduate Robyn Rose while Professor April Land looks on.